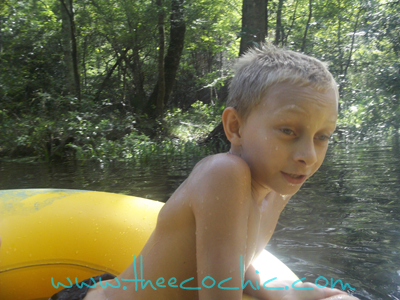 I enjoyed a little R&R this weekend as we escaped to central Florida to tube down Ichetucknee Springs. We had a fabulous time. Enjoy a few of my favorite pictures from the weekend. This is the head springs at the Ichetucknee State Park. 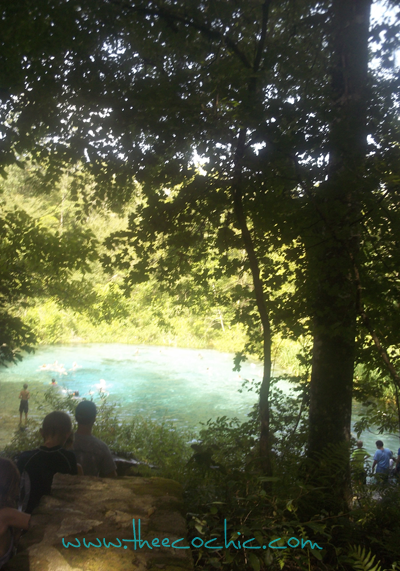 You can swim in the springs if you don’t want to go tubing. Just hold your breath and jump in – it’s COLD! My oldest tubing down the river. 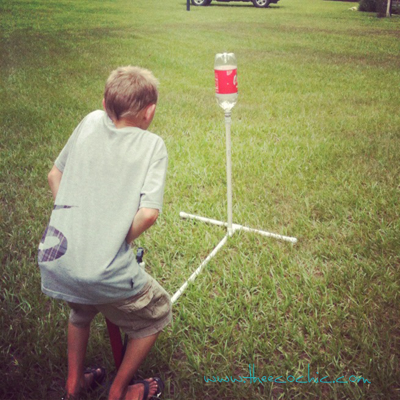 My oldest playing with a bottle rocket that our friends made from PVC pipe, a bike pump, and empty soda bottles. 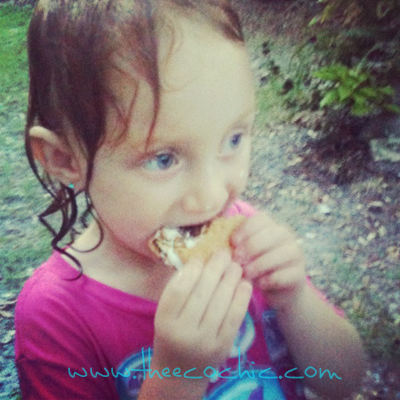 My little one enjoying a S’mores at the cabin. She’s soaking wet because they were playing with a water hose. This has got to be my favorite pictures from the weekend. 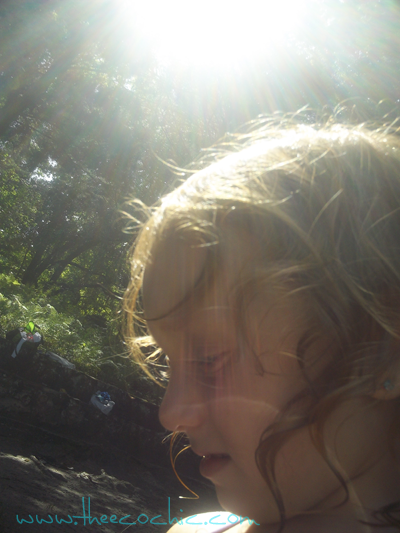 I love how the suns rays appear in front of her. It was great to be away and unwind. While I have a ton of stuff to catch up on (oh yeah, those missing upcycled crafting projects) spending time with the family in nature is priceless. I’ll leave you with a few of the things my daughter and I talked about over the weekend that stand out in my memories. It’s amazing how it’s the little things that mean the most.